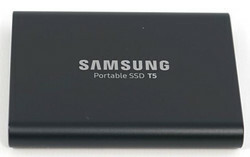 Samsung has introduced its T5 SSD, the latest model in a series of external high-performance SSDs. Like its predecessors, the T5 offers blazingly fast data transfer rates and in a high-quality premium package but it lacks innovation. 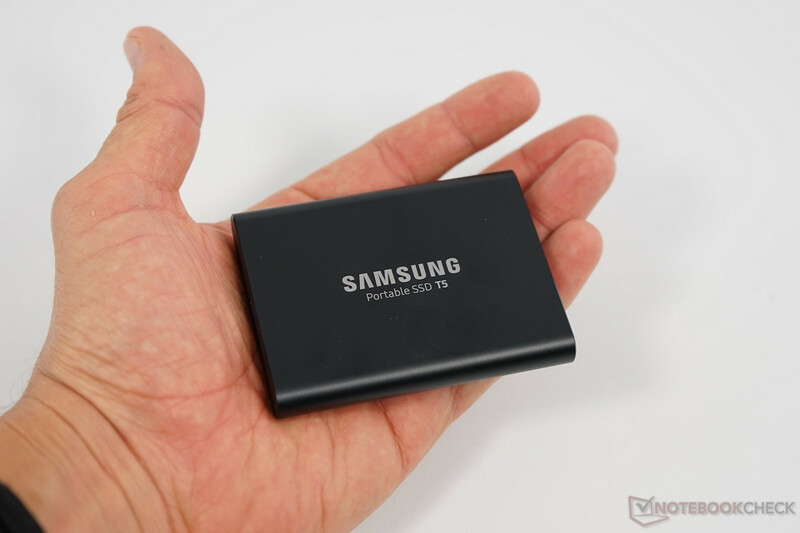 Back in April 2017, we reviewed several external USB-C SSDs. Unlike regular hard disk drives, these flash-based external storage devices offer very fast data rates even under the most intense load scenarios, and are much more forgiving than mechanical drives when dropped to the floor. 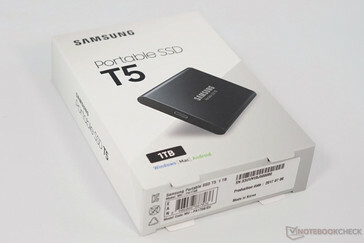 Now, Samsung has introduced the T5 – the latest incarnation in its series of external high-performance SSDs. Like the T3 the T5’s design is simplistic yet appealing. The metal case weighs in at 51g (~1.8 oz) and while subjectively it seems very robust it is not IP certified. According to Samsung, it should survive drops from up to 2 m (around 6.6 ft) height and like all T-models it offers 256-bit AES encryption, even when used with Android or iOS. Included in the box are two USB 3.1 Gen. 2 cables for two different host ports (one USB-C and one USB-A), software for Windows and macOS, and a download link for Android software. 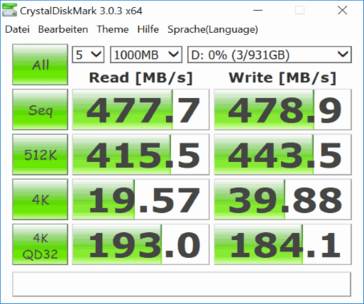 We use CrystalDiskMark 3.0.3 (64-bit, 1 GB file size) and AS SSD in order to determine the drive’s theoretical performance. Sequential read and write speeds were at 480 MB/s, which was significantly faster than its own predecessor and, disregarding the external RAID-SSD SanDisk Extreme 900, all other SSDs reviewed by us. 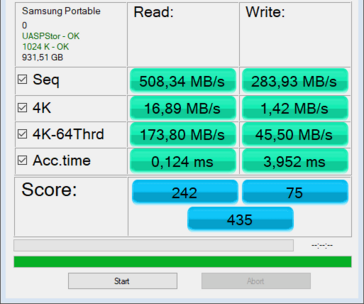 Random access scores painted a similar picture, and once again the Samsung T5 was the fastest external SSD ever reviewed. 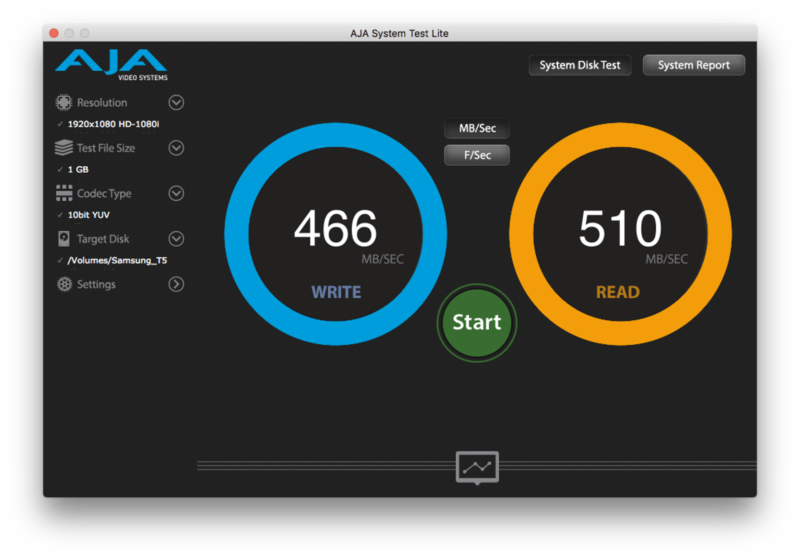 For reasons unknown to us it practically failed AS SSD’s 4K write test (no queue) on the MacBook Pro but performed as expected and very well on the Asus Zephyrus. 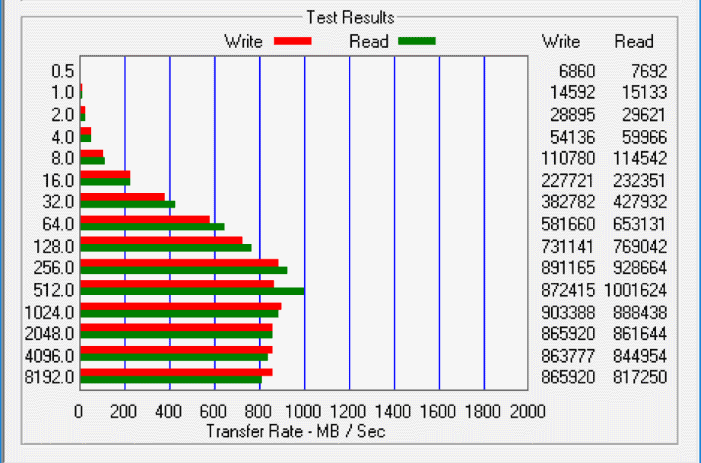 Access times were excellent as well, but that is true for all current SSDs. The minor differences between the respective models are entirely negligible and unnoticeable in real-world usage. AS SSD’s Copy Tests are semi-synthetic benchmarks that are fairly close to real-world usage. 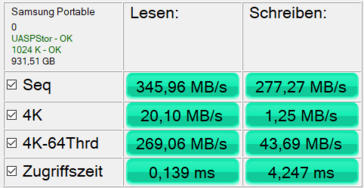 The three modes differ in their respective file size: the ISO Benchmark copies two large files, which makes this a quasi-sequential transfer; the Application Benchmark copies lots of small files, which makes this a quasi-random transfer; and the Game Benchmarks contains both, large and small files. According to the application’s technical documentation, it uses the no longer recommended command “copy” to initiate the transfers, and reads and writes are performed simultaneously. In these tests, the T5 surprised us, to say the least. Given the excellent synthetic benchmark scores, we would have expected the T5 to wipe the floor with its competitors, but it only managed to outperform the entire competition in the Game and ISO test. In the Application test with lots of small files, the T5 fell behind its own predecessor and the WD G|DRIVE by up to 26 percent. That said, we have to add that the ISO and Game test in particular produced very similar results throughout our entire test group. 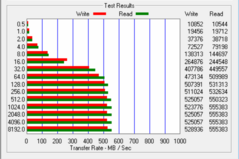 The midfield SSDs are barely more than 10% slower than the T5. Consequently, performance is a negligible factor here and users who do not absolutely need the fastest SSD on the market can make their decision based on quality and additional features. Some SSDs use special compression algorithms to boost transfer speeds. Quite obviously, this only works with uncompressed data, and not for compressed files such as RAR archives or video files. Like all other reviewed external SSDs, the T5 does not compress data on-the-fly – Samsung has stated in 2014 that they will refrain from doing so. 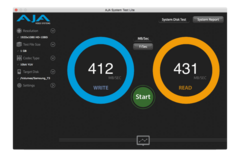 In ATTO, the SSD performed as expected: starting with 32 and particularly 64 KB large file sizes, the T5 was capable of performing at peak level. 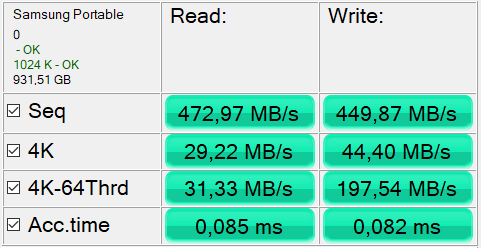 As expected, performance suffers across the board when connected to a USB 3.0 port. Particularly dramatic are the drops in 4K write performance and sequential transfer speeds. 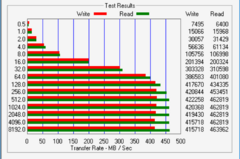 PCMark 8’s storage benchmarks attempts to subsume a storage device’s performance in a single number. Without doubt, this can only be an approximation, but in our experience, the respective operations comprised in this single value are somewhat reasonable. More specifically, it runs typical operations within various Adobe applications, the “World of Warcraft” and “Battlefield 3” games, and the Office suite and measures the time it takes to complete them. And while the T5’s performance was top notch and among the best of the best, we should note that the benchmark has apparently peaked out. According to the developers, the benchmark’s accuracy is +/- 3%, which means that the actual results have to be taken with a pinch of salt. With 0.26 W in Windows and 0.4 W in macOS, the T5’s power consumption was comparatively low, albeit higher than its own predecessor’s in Windows. 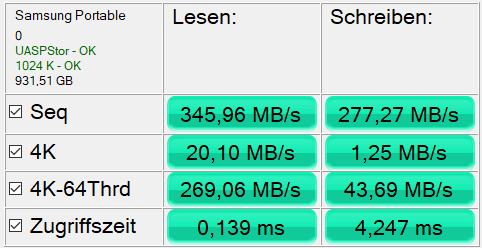 Other external SSDs draw at least 1 W when idle. Under load, the T5’s power consumption peaked at 2.8 W, and was practically identical to its predecessor. 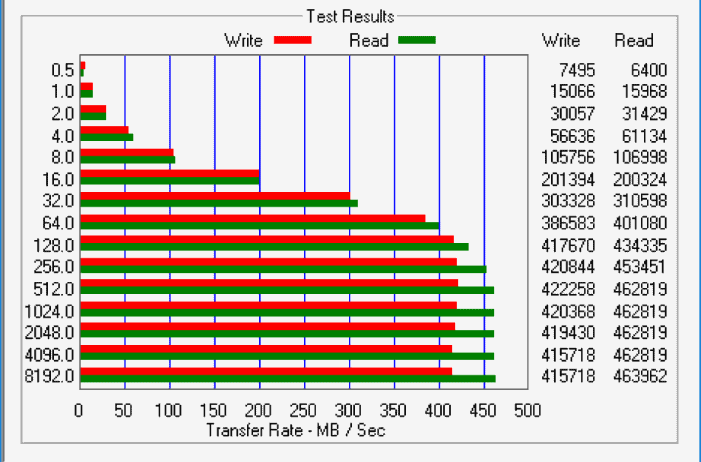 All things considered, the T5 is one of the most energy efficient external SSDs available. 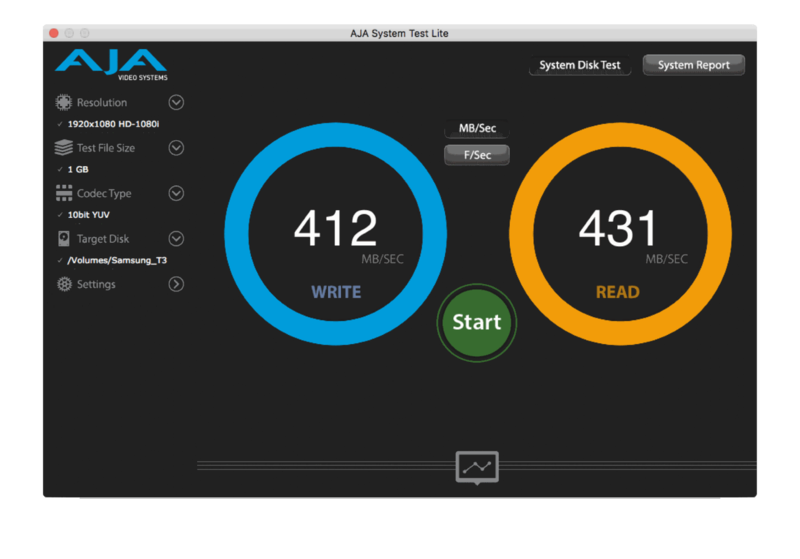 Oddly enough, it continued to draw 0.4 W in macOS when ejected, and did not power off completely. Thanks to its metal case, the T5 remained quite cool even under load. During the last third of PCMark 8’s storage benchmark the T5’s case temperature was at 29.2 °C (~85 °F; measured with a temperature sensor). Minor hot spots could be detected around the connector and the controller on the infrared image, but the difference between the hot spots and the rest of the case was less than one Kelvin. The T5 is a new and slightly faster (particularly in macOS) model in Samsung’s range of external SSDs. 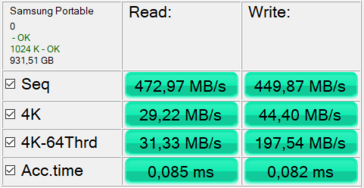 However, in real world usage the performance gains are negligible. Much more relevant are the well-made case and premium overall quality, the iOS/Android support, and the hardware encryption. Given that unlike the T1 the T3 already had a metal case, we would have wished for an IP certification. For example, SSDs like the ADATA SE730 can be submerged in water. All things considered we can recommend the T5, but the step up from the T3 is comparatively small. Accordingly, the decision between these two will most probably be made based on the T5’s hitherto unknown price.